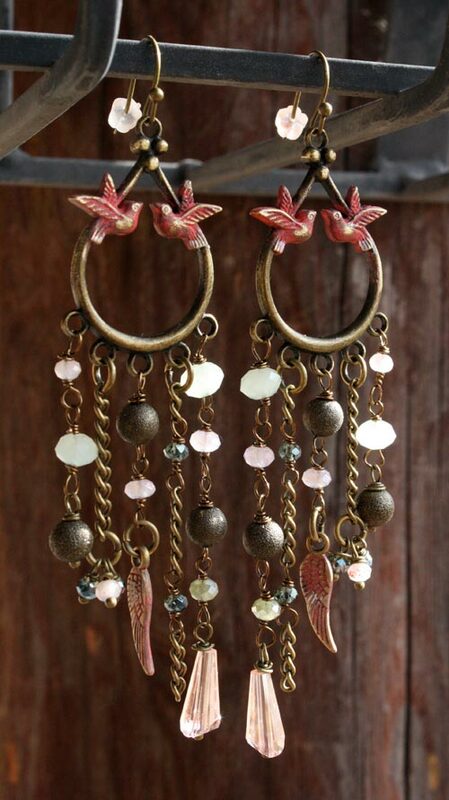 Create these beautiful chandelier earrings with crystals, beads and a little chain. 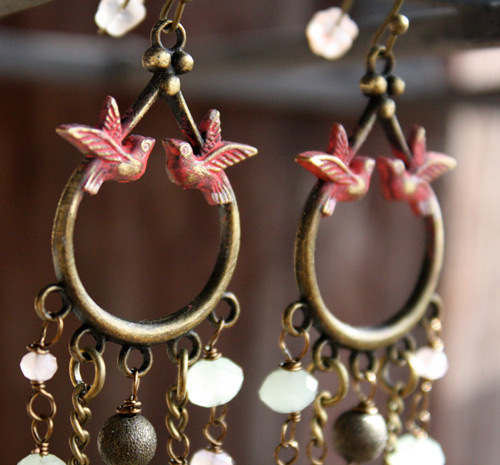 Just dangle varying lengths from each loop of the bird teardrop connector. Also use Gilder's Paste for a dash of color.